Evelyn McGee-Colbert is an American actress known for her roles in a number of films and television series, including The Hobbit: The Desolation of Smaug (2013). Though she is busy pursuing her own career in the entertainment industry and has attained a certain level of success, her popularity is largely due to the fact that she is married to a famous comedian named Stephen Colbert. In addition to being a funnyman, Stephen is also a writer, actor, TV host, political commentator, as well as a producer. One of the notable comedians in America, he is popular for being the host of his own TV show, The Colbert Report, which aired on Comedy Central from 2005 to 2014 and also for hosting The Late Show with Stephen Colbert from September 2015. Stephen has earned a lot of awards and honours for his contributions to the entertainment industry and today, he is a major influence on a lot of people both within and outside the entertainment industry. He has been married to Evelyn McGee-Colbert for more than two decades but not so much is known about this woman who has helped him get to where he is today by giving him peace and stability in his home front. To find out more about her, keep reading! Born as Evelyn Brabham McGee on the 23rd of July 1963, the comedian’s wife is the daughter of a well-known civil litigator in Charleston named Joseph McGee, owner of the legal firm, Buist Moore Smythe McGee. Evelyn’s father was also involved in politics in South Carolina where he served as a representative of Charleston County, South Carolina, in the state House of Rep from 1963 to 1968. Despite the fact that her father was a popular figure, information about her background, mother and siblings have been well hidden from the public. Evelyn McGee-Colbert is well educated but details of the elementary and high schools she attended are not known. However, it is known that she graduated in 1985 from the University of Virginia’s College of Arts and Sciences, where she studied Drama and English double major. Evelyn got married to Stephen Colbert on the 9th of October 1993. They actually grew up within the same environment in South Carolina, living just two blocks apart but never knew each other. They finally met in 1990 at the Spoleto Festival USA in Charleston, South Carolina, during the world premiere of Hydrogen Jukebox. 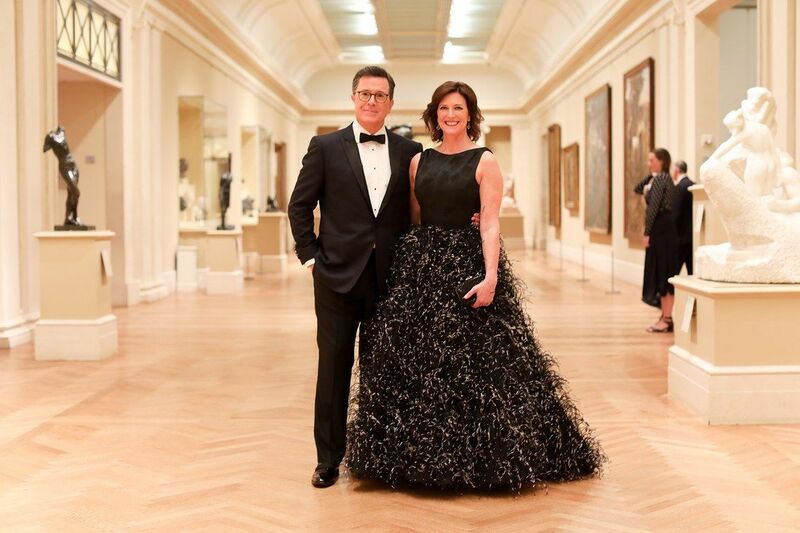 At the time they met, Stephen Colbert was torn between trying to decide whether or not he wanted to marry his then-girlfriend, who wanted him to set things straight by either getting married to her or breaking off the relationship. Unable to convince himself that he wants to spend the rest of his life with her, he ended the relationship. That same week, he met Evelyn who had queued up to get food at the afore-mentioned premier. According to Stephen, it was love at first sight for him and they chatted for two hours, realizing moments later that they were both raised in Charleston and had a lot of mutual friends. This marked the beginning of their beautiful life together. It’s been 25 years (and counting) and the couple is still together, raising their kids in the Roman Catholic faith. Because of his religious inclination, Evelyn McGee-Colbert’s husband does not make religion-targeted jokes. Evelyn McGee-Colbert is the mother of three children. 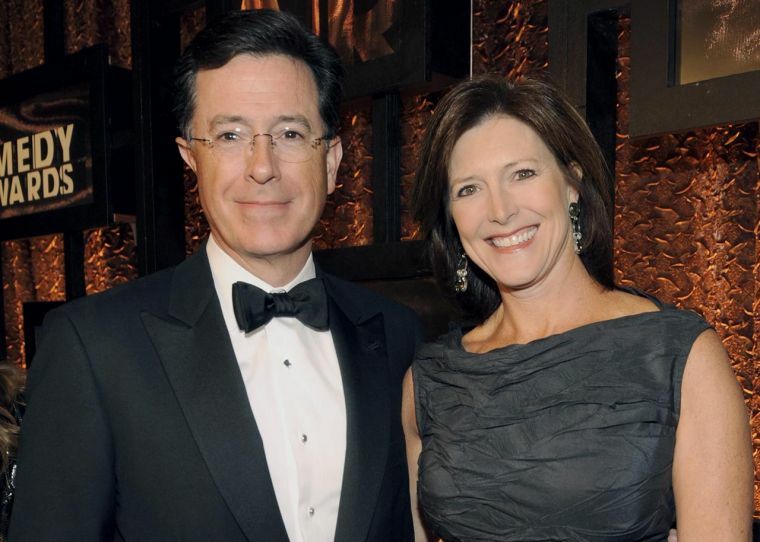 Her first child with her husband, Stephen, is a daughter named Madeleine Colbert while her second and third children, both sons, are Peter Colbert and John Colbert. While the first was born in 1995, the second and third were born in 1998 and 2002 respectively. Evelyn lives with her family in Montclair, New Jersey. Married to a husband who has a net worth of about 45 million dollars, most women would rather be stay-at-home moms than work but not Evelyn. She has chosen to pursue her own career in acting and make her own money, no matter how little. She has appeared in a number of films and TV series, making her television debut as Nurse Chestnut in the series Strangers with Candy, first in 1999 and later in 2005 when the show was brought back. She also featured in the 2013 adventure film The Hobbit: The Desolation of Smaug and the television series Alpha House. The celebrity wife has sure made some money as an actress and most likely has other ventures from which she earns some more. However, her net worth is, at the moment, under review.